Flip through the magazine to read the full article. In 2002, local artist Keith Wicks and community leader Judy Vadasz founded the Sonoma Plein Air Foundation to address the lack of public school funding in the visual arts. Fourteen years later, the Sonoma Plein Air Foundation has surpassed $1 million in funds raised for public schools and nonprofit arts organizations that serve the Sonoma Valley. 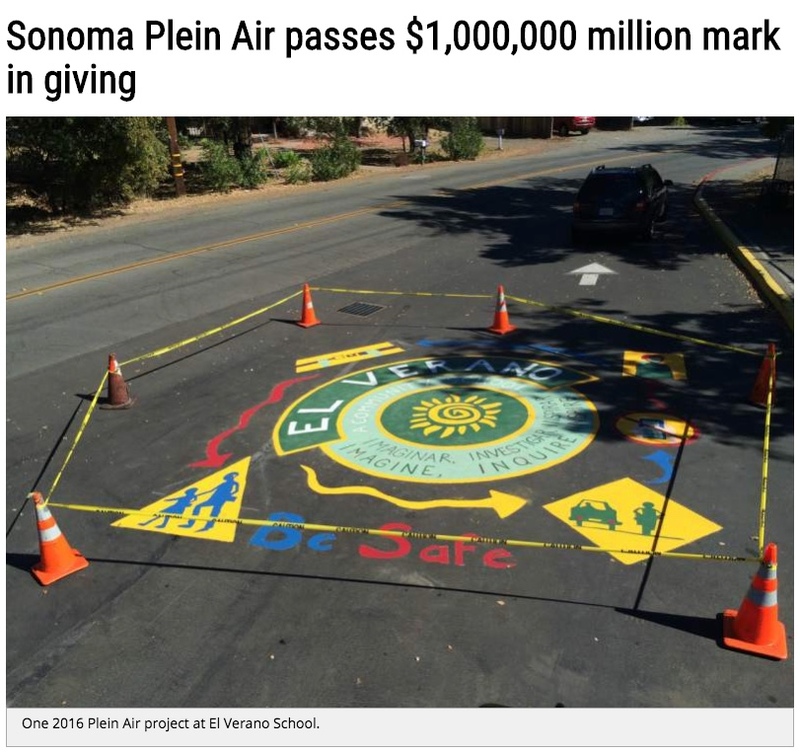 “I love what Sonoma Plein Air does for the community and the schools, for the children and educators of the Valley,” said Louann Carlomagno, superintendent of the Sonoma Valley Unified School District and Plein Air Foundation boardmember. Read the article in the Sonoma Index Tribune.